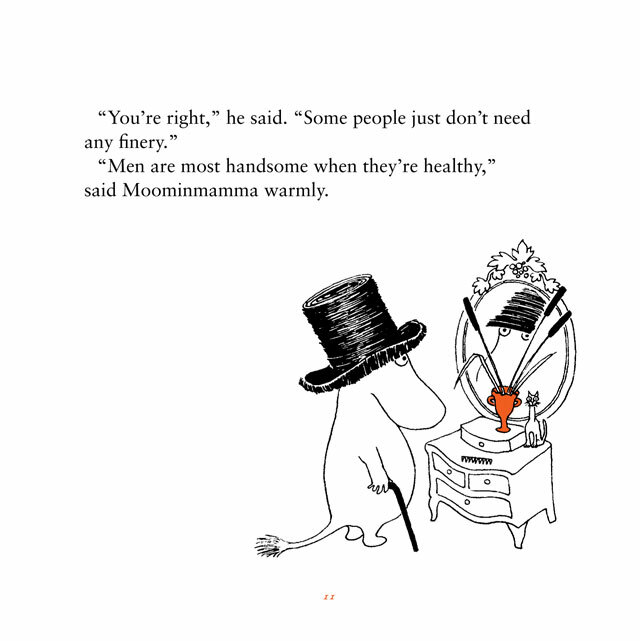 Moominmamma's Book of Thoughts is a collection of charming philosophical anecdotes and other whimsical remarks from the world-famous Moomin stories. 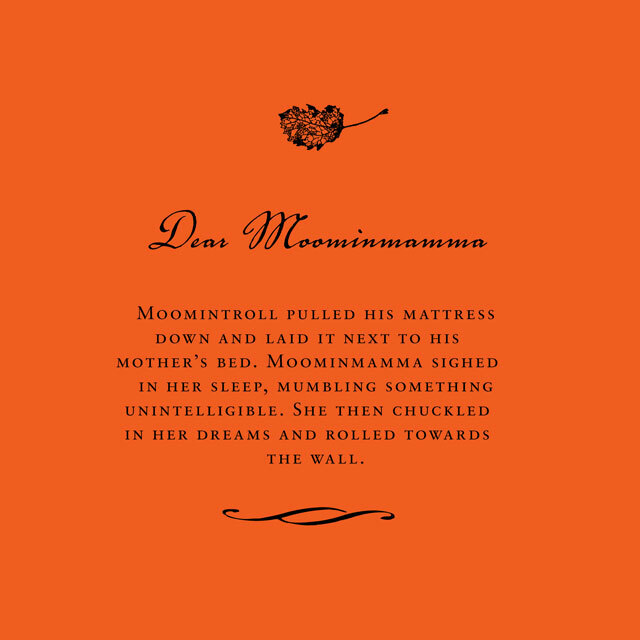 Across the course of her lifetime, Moominmamma uttered countless everyday truths and timeless aphorisms that continue to hold true. The book's original illustrations are by Tove Jansson. 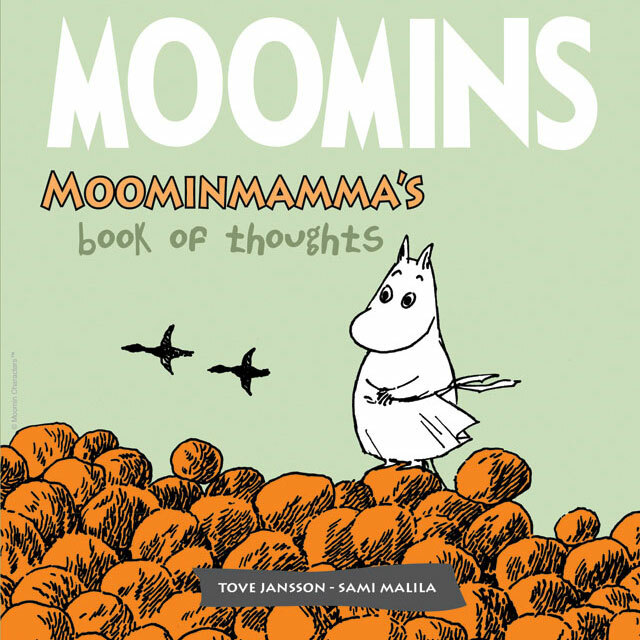 Other titles in this series include Moominpappa's Book of Thoughts, Moomintroll's Book of Thoughts, Little My's Book of Thoughts, Sniff's Book of Thoughts and Snufkin's Book of Thoughts.